I know you have witnessed this strange ritual many times: A baseball player steps into the batter’s box, hits the plate with his bat, then spits. After each pitch he then steps out of the box and spits again. Or, you have seen a football player get down in his stance, stare at his opponent, then spits before the ball is snapped. I have often wondered about this spitting ritual done mostly by men. Personally I have never felt the need to spit just to be doing it, so I guess that is why I don’t understand. Spitting is currently considered rude and a social taboo in many parts of the world, including the West. In China it is considered more acceptable. Social attitudes towards spitting have changed greatly in Western Europe since the Middle Ages. Then, frequent spitting was a part of everyday life, and at all levels of society it was thought ill-mannered to hold back saliva to avoid spitting. By the early 1700s, spitting had become seen as something which should be concealed, and by 1859 many viewed spitting on the floor or street as vulgar, especially in mixed company. Spittoons were used openly during the 19th century to provide an acceptable outlet for spitters. Spittons became far less common after the influenza epidemic of 1918, and their use has since virtually disappeared, though each justice of the Supreme Court of the United States continues to be provided a personal cuspidor. So, the question is this, “Is spitting functional or gratuitous“? On the sidelines, on the team bench television gives us up-close images of a behavior that we frown upon in homes, most interior spaces generally, and out-of-doors public places as well. Some sports see it, others don’t. Golfers, tennis players don’t spit. Basketball players in big indoor arenas don’t – or do they? Is social class a factor? Is the culture of a particular sport conducive or un-conducive? If so, why? I watch athletes spitting and I wonder why don’t they just drink what they need, swallow it all, and quit there? Could it be that spitting has to do with the degree of exertion? If you’re pushing yourself hard, especially if mouth breathing is used, the mouth tends to dry out and mucous and phlegm tend to build up. Spitting clears the mouth before you inhale and start choking. Many basketball players spit a lot, but much of this is done over the end lines in smaller gyms, or into towels. Soccer and football players are big on expectorating, but seem to try to do it where they and others will not be falling into it. The same holds true in tennis – you don’t want to grease the court, so many wait until the breaks when they can rinse their mouth with water at the same time. Spitting is tied to chewing tobacco in our dear old American culture, and chaw use peaked in about 1890. This cultural timing may partly explain the enduring association between chaw, baseball, and spitting – and may partly explain baseball’s remarkable supply of ritual gestures and posturing. Another point about spitting and sport: spitting has actually become a sport. In Michigan they have cherry pit spitting contests. In the deep south I have heard of watermelon seed spitting contests. These are distance competitions. I wonder if they judge the spitter on style as well as distance? One last thought here – that is the ritual spitting of that last mouthful of water. Not in clearing the throat, but in that last mouthful of water. Why spit it out? Is it a symbolic tribute to the gods, or to make a statement? Do you know of any sport in which women athletes spit the way men do? I can’t think of any, so spitting is perhaps male-specific. One suggestion might be this – is spitting a way of an athlete marking his territory? A lineman spits on a football field at the line of scrimmage in front of an opponent. Is he not saying, this is my turf? Is it not also an expression of disrespect to the opponent: “I spit in your general direction you wimpy pig-dog!” Of course, I ask myself much the same thing when I see young men and boys spitting on the street or sidewalk, too. I suppose there is no good answer to this question. Men will continue to spit just because they can and it makes them feel good. this baby deer and mom are regulars. Our hunters will let these guys pass. Keep the rifles cased, but bring out the bows, because the archery-only deer hunting season kicks off this Saturday. Unlike the symphony of shotgun blasts signaling the opening weekend of dove season, few will hear the whisper-soft “string music” of archery-only deer season. But, that doesn’t mean there aren’t a lot of hunters making bowstring music; archery hunting stamp sales are up substantially this year, according to the Texas Parks and Wildlife Department. Entering this weekend’s “soft” opener of deer season, the archery-only season Sept. 29-Nov. 2, archery endorsements are up 15.2 percent at 13,231. The endorsement is required of anyone hunting during the archery-only season and is included in the department’s Super Combo hunting and fishing license package, sales of which are also up 11.75 percent at 292,670. 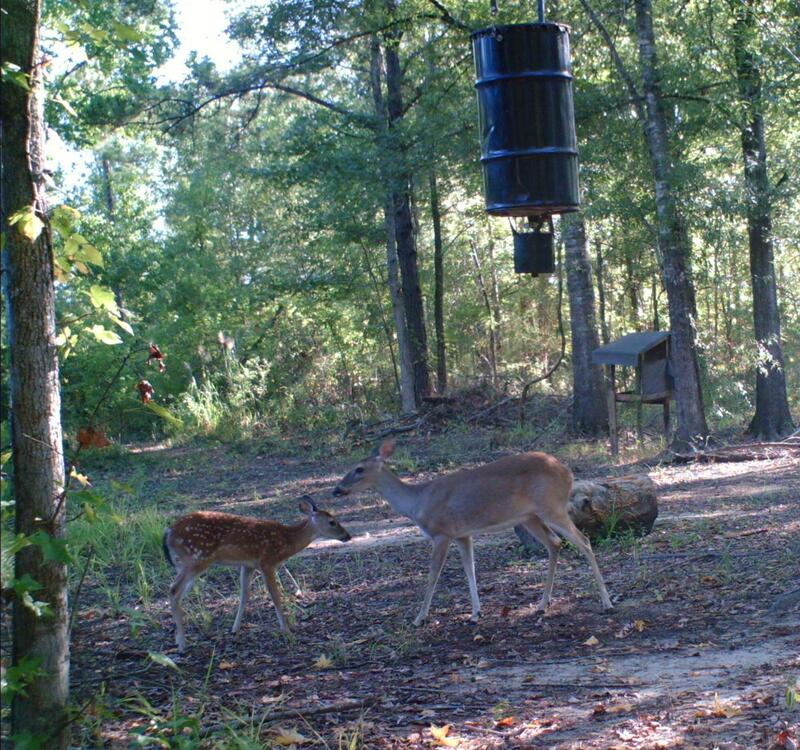 Wildlife officials point to rebounding range conditions this year that helped bolster deer populations as a contributing factor to the jump in hunting participation this fall. New this season, the Texas Parks and Wildlife Commission approved opening a hunting season for deer in Dallas, Collin, Rockwall and Galveston counties. 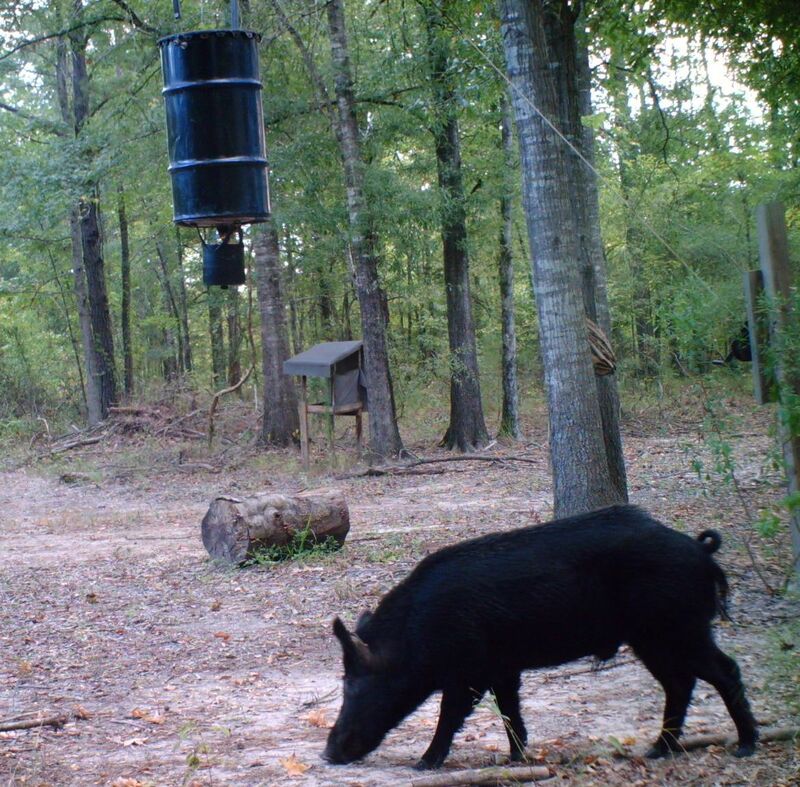 The general gun deer season in Texas opens Nov. 3 statewide, preceded by a youth-only deer season the weekend of Oct. 27-28.
opportunity to harvest a wild hog. PINK: The development of a pink bluebonnet was thought to be an impossible task. Even Carroll Abbott considered location, purification and proliferation of the pink, and eventually red, bluebonnet a bit farfetched. This great plantsman had roamed the fields of Texas his entire life and had seen only three pink bluebonnet plants. Most of his native plant friends had never seen even one! In searching for the pink strain, the same criterion used to successfully locate and purify the white bluebonnet strain was used. People were told to collect only seed from pinks in large groups so that natural selection would have already bred some of the blue out of the pinks. However, the pinks were indeed so rare that only four locations throughout the entire state were reported. The “mother lode” of pinks was found within the city limits of San Antonio. Once a gene source was located the pink and shades thereof were added to the bluebonnet color spectrum. Because the pink strain of bluebonnet was so rare and so special, it has been named after the mentor of this project. The ‘Abbott Pink’ bluebonnet is now a reality. Its unique and subtle beauty will always serve as a reminder of Carroll Abbott’s dedication and inspiration to all who love and appreciate nature’s rarities. OTHER COLOR STRAINS: Like Carroll Abbott himself, the pink bluebonnet is full of surprises. The ‘Abbott Pink’ strain is providing wonderful “bonus” color hues which none could have initially imagined. The purification of a pink bluebonnet strain will eventually lead to the creation of an entirely new color variant which will make the bluebonnet without a doubt the most revered state flower in history to a certain segment of the Texas population. Geneticists indicate that for every color in nature, there exist hues or shades of that color. For instance, within the pink bluebonnet there should exist a series of shades of darker pink and, eventually, red. Another spectrum of colors should exist when blue color shades are mixed with dark pink or red to create lavender or possibly even maroon. Now isn’t there a group of Texans who might show a subtle interest in developing a maroon colored state flower? Sounds as if the Aggies may have done it again! The additional colors of the state flower were not genetically created by man; these colors have existed for as long as bluebonnets have bloomed. The additional colors, which already existed in nature and have for hundreds of years, were simply isolated, purified and grown in large numbers. No plant breeding or genetic manipulation of bluebonnets has been done except by God. All of these colors have been developed to enhance the Texas state flower. ALL of these colors, by law, are legally the state flower. Now, for the first time in history, color patterns of the state flower can be planted and enjoyed. And, since these colors are all naturally occurring selections, they complement each other perfectly, making design and color selection almost fool-proof. There is nothing prettier than a mixed bed of pink, white and blue bluebonnets. Through working with Mother Nature, the Texas state flower can now be raised to new heights of beauty and enjoyment. Others hasten to add: “If a bluebonnet flower is white, it shouldn’t be called a bluebonnet, it’s a whitebonnet.” The state flower is the bluebonnet, written as one word. A color variant of that flower would be properly described with the name of that color, PLUS the name of the flower. Consequently, the terms white bluebonnet, pink bluebonnet, and maroon bluebonnet are correct. Be advised that from all packets of seed or flats of transplants of bluebonnet color strains such as pink, white or ‘Worthington Blue’ there will be some plants which will bloom with the standard blue color. The new color strains are not 100 percent pure and thus will occasionally exhibit the ancestral blue and possibly other hues as well. Also, be advised that in bluebonnet stands which have been allowed to naturally reseed the mixing of blues with pinks or whites will, in several years, result in reversion to the blue color due to cross-pollination and the subsequent masking of the less dominant color strain. In nature there exists a form of natural fertilizer which is pure and clean. It is the fertilizer, especially nitrogen, produced by soil organisms. The best known of these nitrogen- fixing soil organisms is a bacterium, known as Rhizobium, which lives on the roots of legumes such as clover, alfalfa and vetch. The relationship between this bacterium and the plant is referred to as symbiotic, meaning that both organisms involved benefit. The plant receives the much needed nitrogen from the bacterium which has the ability to take nitrogen from the air. The bacterium, in return, lives on the roots and receives life support from the plant. Man benefits as well because the plant, which has been nurtured by the bacteria-formed nitrogen rather than applied fertilization, can then be utilized as a nitrogen source when the plant tissue decomposes. The nitrogen produced from this system is “clean” because there is no salt or chemical toxin potential. The use of legumes specifically as a source of nitrogen has not been a common practice in Texas. The main reason for this has been the expense involved in their establishment. 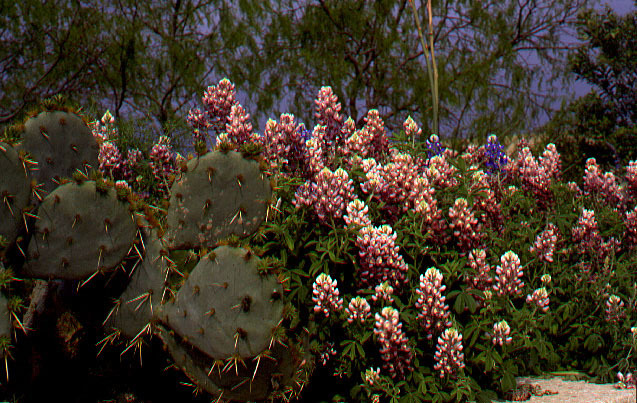 There IS, however, a legume which thrives in all areas of Texas, produces nitrogen via Rhizobium bacteria, and is the state flower as well- – the bluebonnet. The Texas bluebonnet belongs to the legume or bean family (Fabaceae or Leguminosae). Bluebonnets are probably the most important native rangeland legume in Texas, often occupying hundreds of acres of rolling hillsides during the cool (fall, winter and spring) months. The roots of these legumes are highly nodulated, making them important sources of nitrogen for the soil. Because lupines are able to invade soils low in nitrogen, they have become established in disturbed areas. This is the reason why certain species are used as cover crops for the enrichment of agricultural soils. Bluebonnet plants have the capacity , with the help of Rhizobium, to produce as much nitrogen as soybeans, which often yield as much as 100 pounds of nitrogen per acre. Bluebonnets are not a preferred food of deer, as are clover and vetch. Therefore, survival of bluebonnet plants in areas heavily populated with deer is ensured. 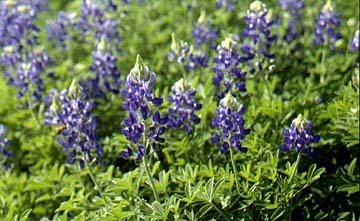 The bluebonnet is also extremely cold tolerant, so freezes normally will not kill the plants. Plant in full sun, in soil which drains well and doesn’t stay wet for long periods of time. The residents of Hemphill Care Center celebrated Labor Day weekend with a visit from Lake Area Hospice clowns on Saturday afternoon, a scavenger hunt on Sunday, and an indoor picnic lunch on Monday. Winners of the scavenger hunt were Marilyn Riordan and Laura Lane. On September 5th we enjoyed a NFL Kick-Off party with chips and dip. In honor of the grandparents, a social was given to celebrate Grandparent’s Day. After the resignation of Bill Ener, Edgar Smith was elected Resident Council President. Employees of the Month were Lisa Carranza and Michelle Mohr. Our Hemphill Church of Christ friends were named Volunteer of the Month, and Leola Miller was named Resident of the Month. We express our appreciation to our September Bingo sponsors, Hemphill Church of Christ, Parkway Baptist Church, Brother G, April from Texas Home Health, Camille from River City Hospice, American Legion Post #197, and Juanita and Melissa. On September 11th, the VFW Ladies Auxiliary #10351 came to visit us in observance of Patriot Day. Our housekeeping staff was honored with a “make your own sundae” party Friday September 14th. Terri McGraw and Kids entertained us with lively music on the 15th. We were blessed to worship with the following churches: Hemphill First Baptist, Church of Christ, Parkway Baptist, Fairdale Baptist, Bethel Chapel Baptist, and Community Fellowship. The Pineywood Pickers entertained us with their toe-tapping music last Wednesday afternoon. Refreshments were served by friends from Hemphill United Methodist Church. John Napier came to sing for us on Saturday afternoon. Tomorrow the Harbor Hospice will host our September birthday party honoring: Mildred Conn, Leola Miller, Sarah Sullivan, Jerry Fields, Estelle Granger, David Malone, Mary Smith, Ruby Williams, Eva Powell, Bill Ener, Eva Winn, Florence McClelland, and Bernadine Powell. We express our deepest sympathy to the families of Baxter Faires, Ruthie Malone, and Clement McDaniel. We look forward to C J Michaels One Man Band on Friday and our day at the movies on Saturday. Thanks to Hornet Express Video for providing the movies for our pleasure. We welcome friends and families to participate in the Care Center activities. Your presence will give your loved ones a day on the bright side. Roll the cursor over each state to see about that state! Very Interesting! It all started innocently enough. My wife drove to a neighboring city and purchased some new clothing for her birthday. I had given her a gift certificate from a particular store that she likes. So, she returned home with several new items which she showed me proudly. That evening she was picking out the clothes she wanted to wear the next day. That’s when it was discovered. “Did you keep the receipt?”, I inquired. “Sure, it’s right here”, she said holding it up in front of my face. “I think the store employees will still be a little suspicious of this”, I advised. “I can take that thing off in a jiffy and you won’t have to take it back”, I bragged. I am not sure why I was so confident as I have little knowledge of security tags. It seems that they are made of rather soft plastic which should succumb to a hammer easily. I was wrong. “Well, I want to wear my new black sweater in the morning”, she advised me. So, being the good husband I am I said, “Give me the sweater and I will go get some tools”. I picked out a couple of screw drivers and a pair of needle-nosed pliers. No amount of prying and tugging would loosen the tag. I did not bother to read the warning printed on the outside cover. Since the first tools wouldn’t work, I decided to bring out the trusty hammer. One well-placed heavy blow should shatter the tag and free the garment. I was wrong again. I placed the garment on the kitchen counter over a towel and gave the tag a hard blow. I did not know that some of these tags have black ink inside. Now I do. The outside cover of the tag shattered but also sprayed black ink on the counter and up on the wallpaper. The ink also had a sickening smell to it. Now, I was beginning to feel like a thief. The next day I took the sweater with the attached tag out to the patio and laid it on the concrete. I reasoned that one really hard blow with my hammer should free the garment. I was again wrong. Now it was getting personal. How could a couple of pieces of plastic be so contrary? I hit the tag a hard blow and more pieces flew off, but still attached. Dang! Another even harder blow was needed, to heck with the sweater. This thing was not going to defeat me. Finally the security tag fell off, the sweater was free, free at last. The garment might not be wearable, but I got the tag off and that was what mattered. A close examination of the sweater showed no damage, only the white tag in the back was now black, but it could not be seen while being worn. I have promised myself that I will never go through this process again. Any more security tags left on a garment will be taken back to the store for proper removal, or better yet, we will make certain that the clerks remove the tags in the first place. Those tags are awesome things. when I start filleting fish. on the shore near the “big blue”. At the end of the video his problem is solved. Watch the end very closely. Once video begins, click bottom icon for full screen. The story behind “Billy-Bob Teeth”. That was in 1995 or so, several million pair of $10 Billy-Bob Teeth ago, before the gag teeth made Jonah White a wealthy man, before White went to Australia hawking Billy-Bob Teeth and fell in love, before White put Pastor Paul on an ATV and hauled him deep into woods to his deer-hunting tree stand (the three-story one with indoor plumbing and solar batteries to provide electricity and hot water) where Pastor Paul performed the wedding ceremony for Jonah and Renee. It was before Jonah White bought the 500 acres of Calhoun County woods where he built his dream house, the one made of huge Tamarack logs hauled in from the Pacific Northwest, the one with the tree in the middle with the raccoon on it, the one with the Lucite wet bar encasing the first pair of Billy-Bob Teeth that Jonah and his dentist partner ever made, not to mention Renee’s first pair and the kids’ first pairs, the ones that came on the first Billy-Bob pacifier. The first vampire teeth are there, too, and the first pair of licensed Austin Powers teeth.